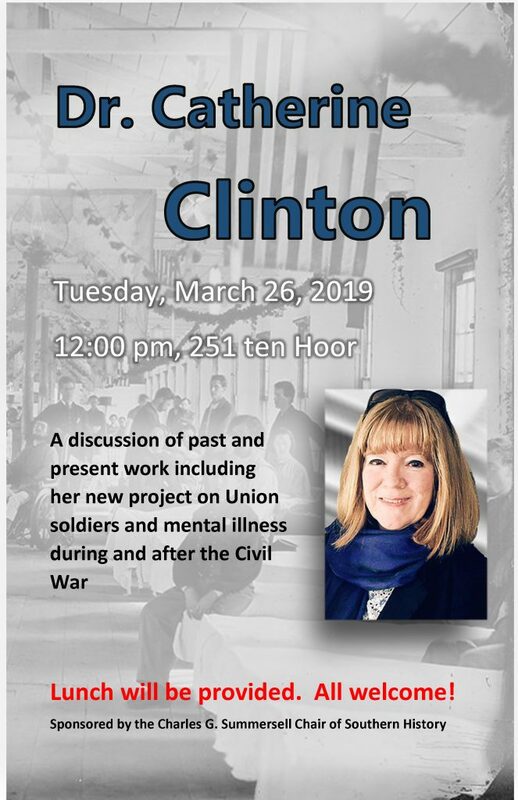 On Tuesday, March 26, 2019, at 12:00 pm, Dr. Catherine Clinton, Denman Chair of American History at the University of Texas at San Antonio, will discuss her past and present academic work, including her new project on Union soldiers and mental illness during and after the Civil War. Previously, Dr. Clinton has served as President of the Southern Historical Association, and she remains on the advisory boards for Civil War History, Civil War Times, The President’s Cottage and Soldier’s Home, and Ford’s Theatre. 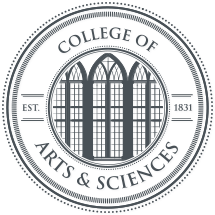 Dr. Clinton will speak in room 251, ten Hoor Hall, at Noon, on March 26. Lunch provide. All are welcome. This event is sponsored by the Charles G. Summersell Chair of Southern History. Contact Summersell Fellow Aaron Phillips for more information: amphillips3@crimson.ua.edu.